Shannon and I took our three kids to Coronado today for some fun. We went to the park. The kids rode their bikes, we played hide-n-seek and had jumping competitions off the swings. Afterwards, we went to the bayside of Coronado and enjoyed some cafe beverages and leftovers we’d packed in a cooler. Later, we went down to the water. 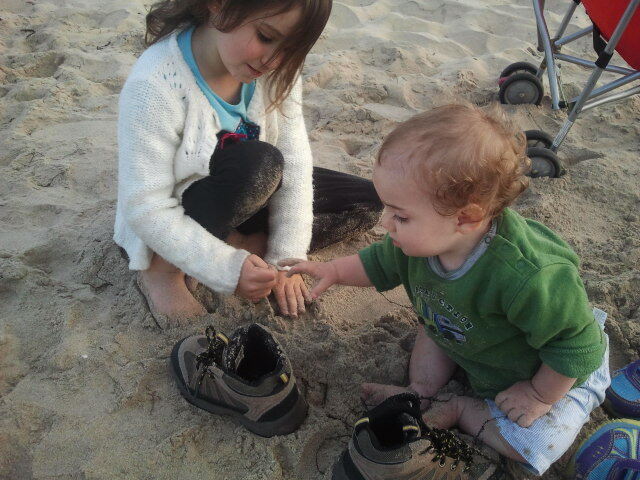 I played in the sand with the kids while Shannon assisted in vain to keep Little B from eating sand. My kids are fanatics about Minecraft. They even model their sandcastles after the game now. 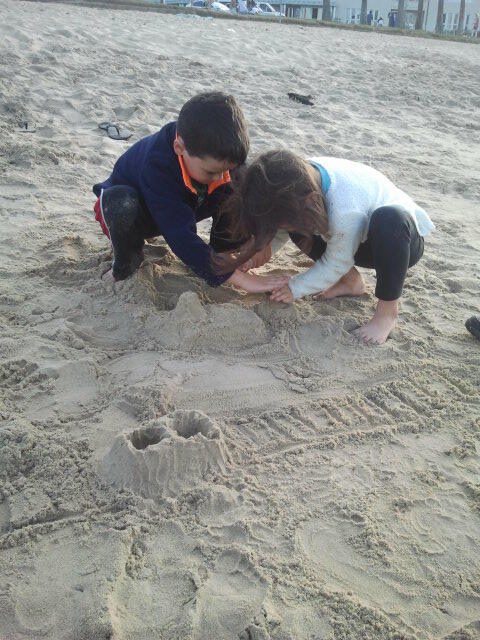 Prior to getting in the sand, our older son had been pleading to go home and play minecraft, a ‘sandbox’ game as my friend Noah (an eligible bachelor) pointed out to me. 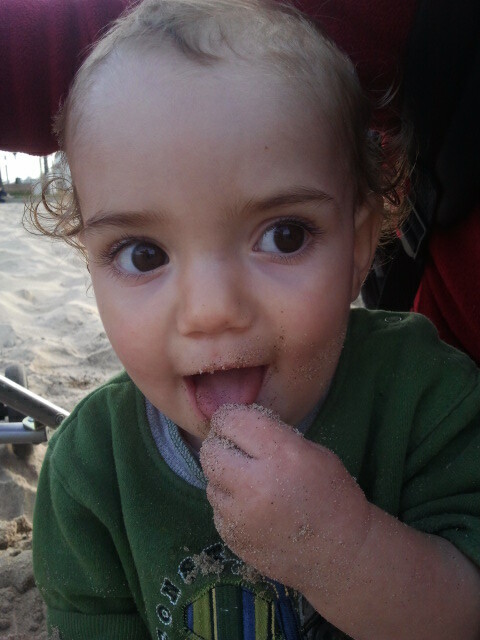 Upon arriving to a real-life sandbox, what does my son do? He starts making representational art of Minecraft. Well, at least he’s outside in the fresh air and getting dirty. They all eat sand eventually, right? “April 1st,” I said. She smiled. I think Little B was trying to play his own April Fool’s joke on big brother by filling his shoes with sand. I couldn’t believe it. My own wife had played THIS April Fools trick on me. I know that most people would have been horrified. Three kids is more than some would prefer. Four is enough to make many psychotic. But we love our kids. They’re gifts. I’ll take as many as the Good Lord gives. But I digress. PS – In case you missed it, we’re looking for financial partners in our ministry in Thailand. Click here to give and here to find out more about the Charis Project.